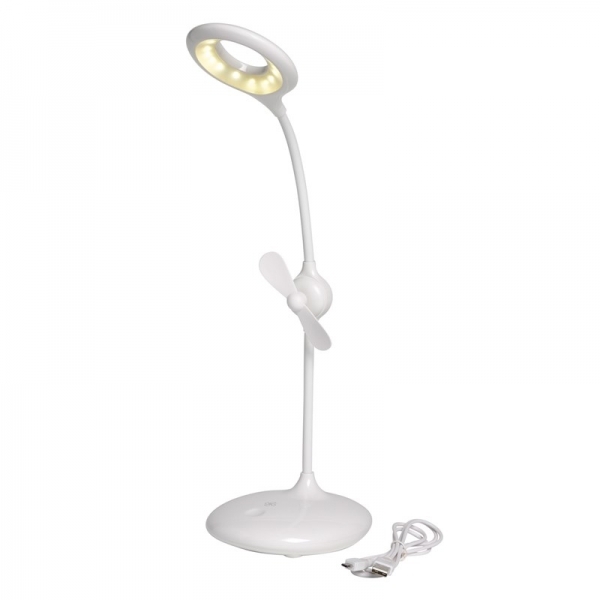 Flexible Fan-Lamp, with chargeble battery, flexible neck with 16 LED, on and off by a tap, dimming function by long contact, integrated fan with separate touch sensor, power supply via a USB cable (length about 100 cm), flexible use thanks to integrated battery with 1.200 mAh. 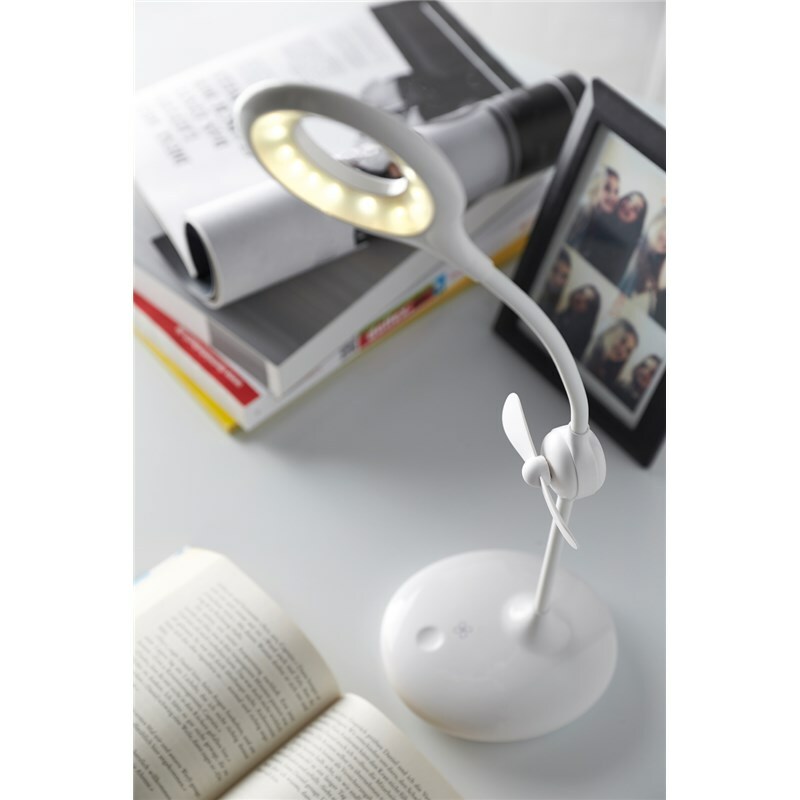 Prices include 1-color pad printing on the foot of the lamp! Advertising space: 30 x 16 mm.